Sampression Lite is back in WordPress. 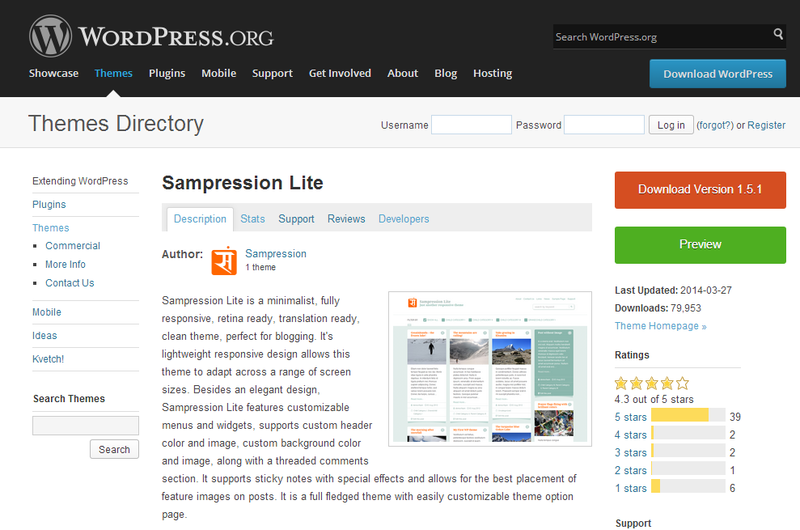 Download Sampression Lite Version 1.5.1. We’re nearing nearly 80k downloads and can’t wait for the number to reach 100k. Do spread the word and let your friends know that we’re back again in our community website. Thank you for your patience and all the support.